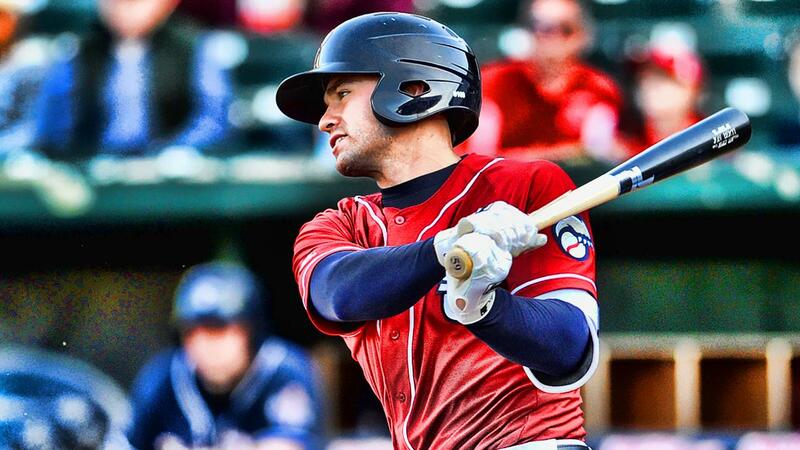 Manchester, NH - Jon Berti homered and drove in two runs, but the playoff-bound New Hampshire Fisher Cats (Toronto Blue Jays Double-A affiliate) dropped the regular season finale on Monday afternoon at Northeast Delta Dental Stadium to the Hartford Yard Goats (Colorado Rockies) 5-3. Berti, who's been on a tear since last Monday (18-for-35), homered to lead off the game. That would be the only run allowed in five innings by Hartford starter Jesus Tinoco (W, 9-12). The Yard Goats took the lead for good in the top of the third inning. Sam Hilliard homered to tie the game, then Brian Mundell walked and Roberto Ramos ripped a two-run shot to give the Yard Goats a 3-1 advantage. Omar Carrizales gave Hartford two more runs in the top of the sixth inning when he homered for the third consecutive game. The Fisher Cats scored in the bottom of the seventh inning with a two-out rally. Connor Panas was hit-by-pitch, Andrew Guillotte walked and Berti singled to make it 5-2. An inning later, Bo Bichette led off with a triple and Cavan Biggio's groundout cut the lead to 5-3. Guillotte walked again in the bottom of the ninth, but closer Matt Pierpont (S, 32) retired Berti on a groundout to end the game. Josh DeGraaf (L, 7-6) took the loss for New Hampshire (76-62). Hartford finished the season in third place (65-72). The Fisher Cats open the postseason on Wednesday at home against the Trenton Thunder (Yankees) at 6:35 p.m. The first two games of the best-of-five Eastern Division Championship Series will be played at Northeast Delta Dental Stadium with the second game scheduled for 6:35 p.m. on Thursday. For tickets and information, visit www.nhfishercats.com.